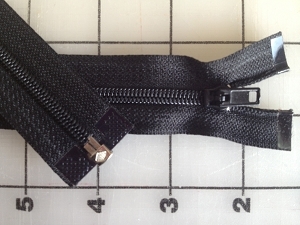 Home > SEPARATING or JACKET > Light Weight Separating > Black #4.5 Coil - 25"
Easily shortened from the top for your project. This is a coil zipper which is more flexible than a molded tooth zipper. Pull is a locking slider.